Excited to be in SF in the fall! Worked remotely and part-time on small features and bug fixes on the Privacy app (written in React Native). I fell in love with the idea behind privacy.com and wanted to contribute while I was still in school. Built data analysis and visualization tools at Google Fiber to identify important user patterns such as which pages are successful or problematic in user’s flow. I wonder if being an intern makes me a famed “ex-Googler” now. Built core components of the Annotate iOS and OSX apps (#2 productivity iOS app) that focused on performantly applying and editing graphical elements on to images. Also built resources to increase 7-day retention by 200% and added Zendesk API integration to upload annotated screenshots to Zendesk tickets. As a TA I had weekly responsibilities such as lab assistance, grading homework, office hours, etc. In addition, I spent time responding to emergency situations such as holding an impromptu lab in my dorm during a snowstorm. 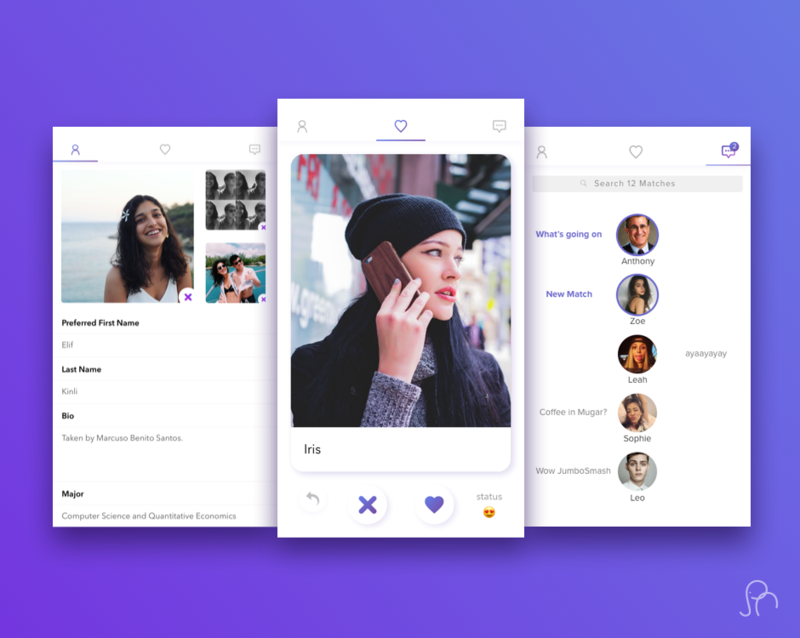 We spent a year making a beautiful cross-platform dating app that only worked for Tufts Seniors during Senior Week. It was a huge success, with over 80% of the senior class on the app and more than 1 million swipes within the first 24 hours (5m by the end of the week). Since Freshman year of College, I've open sourced a number of iOS projects. 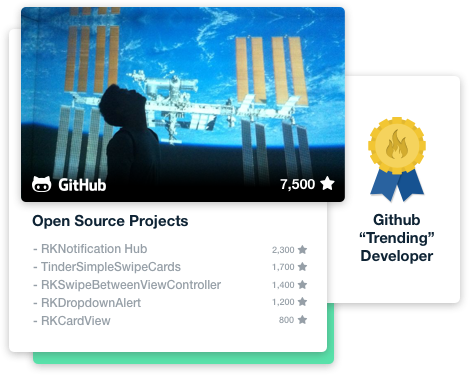 5 of these projects have hit the #1 spot on all of Github's global trending pages. 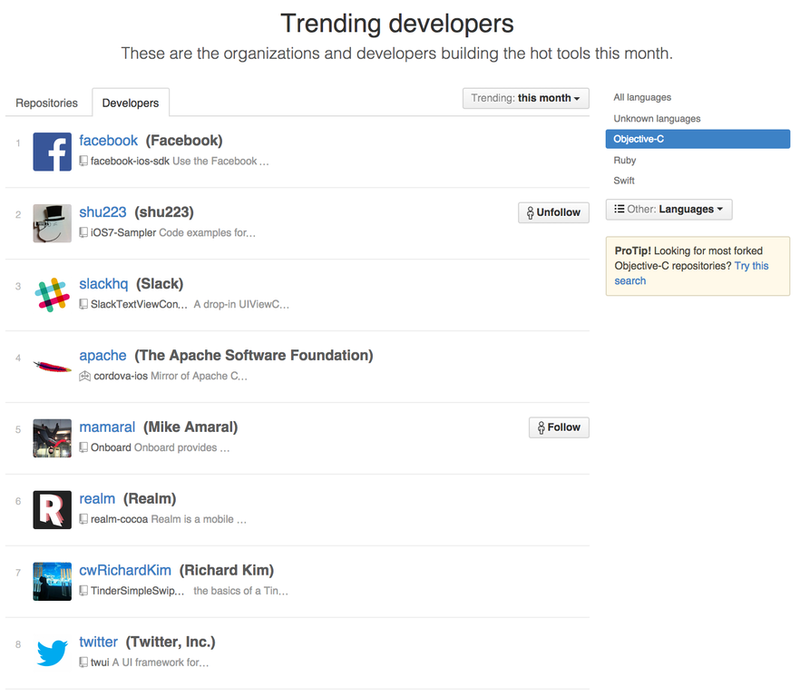 For a while, the popularity of these projects placed me as the #7 trending developer (above even Twitter!). Swipe left to unfollow! The Twitter / Tinder mashup for cleaning your Twitter feed. 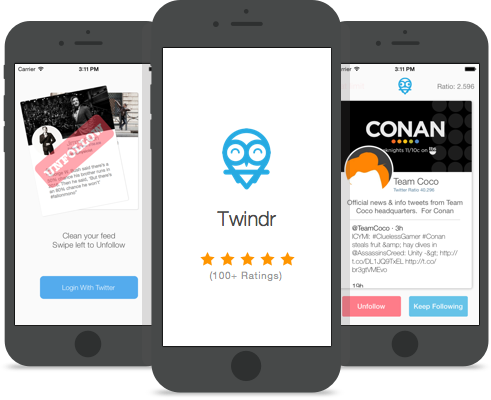 With 1 million cards swiped in the first month, the app was featured on ProductHunt, Gizmodo, LifeHacker, and more. 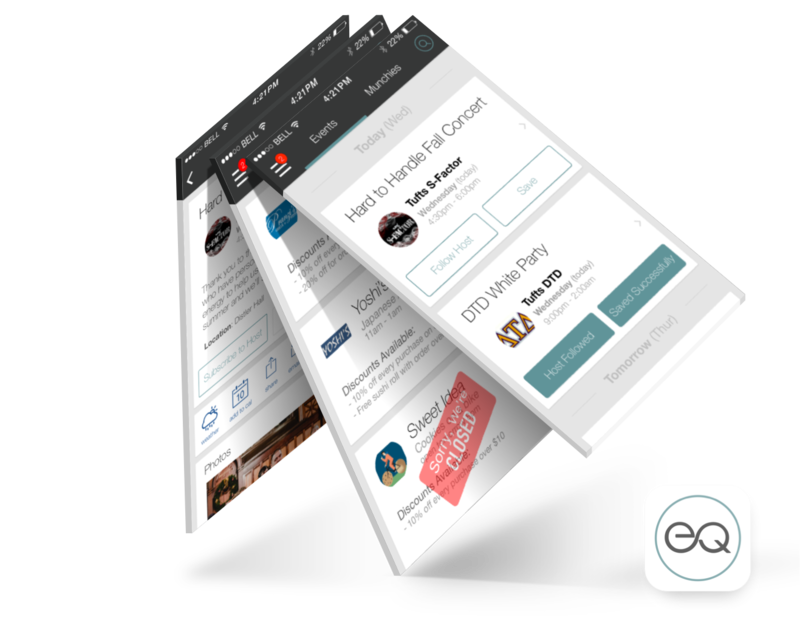 Debuting as 'WeParty', Evoqe put college life on an app. Half of the product is a college event platform, the other half advertises local late-night dining options. The largest and most successful Tufts Hackathon to date. The projects were incredible, the sponsors were engaging, the first-timer attendance was mind-boggling, the swag was dope, and the designer-specific events couldn't have gone better.